As public still absorbs the happiness of Kenzo success, many of his critics have bashed him that actually the award is fake. 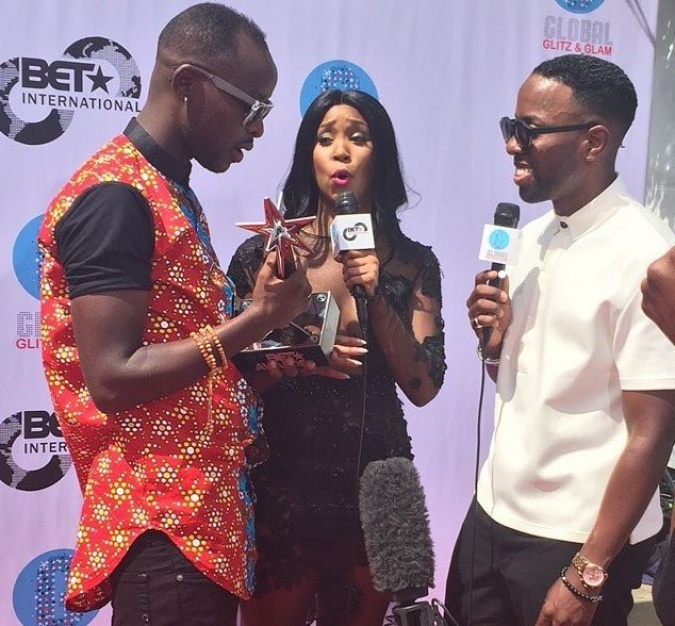 The critics further say the award was not even recognized on the official BET Awards winners list. Well, yesterday, Uganda’s most selling artist came out to clear the air as to why his award was given to him back stage. Kenzo said on NTV the Beat that he was informed by BET management of how each award was being sponsored by a certain company. And according to arrangement his award was not sponsored for a stage time by the sponsors of his category…and apparently that’s why he received it backstage. He however said, BET management took care of him and that he can’t complain because he slept in the same hotel with Nicki Minaj, Chris Brown, Drake, Tyga and Janet Jackson.